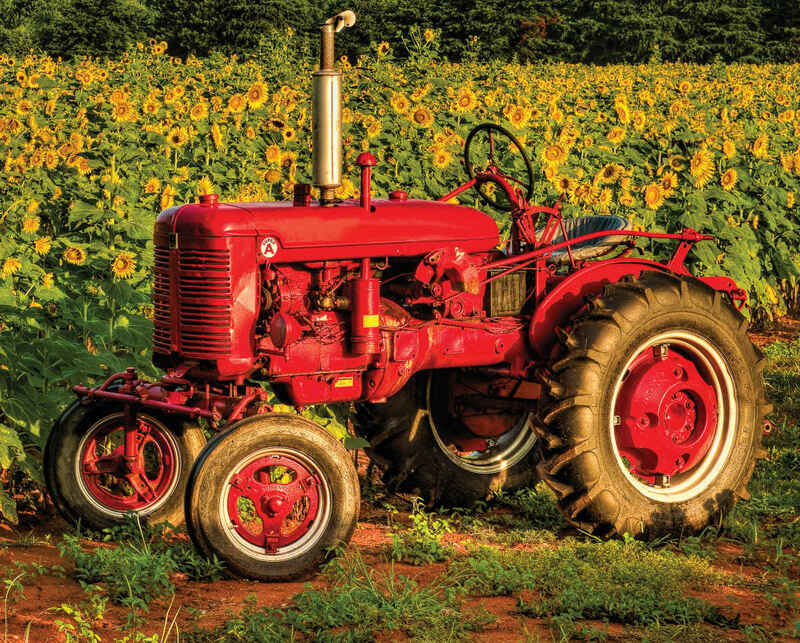 Nothing says summer in the Midwest quite like sunflowers & tractors! Get your hands dirty with American Made, our 1000 piece jigsaw puzzle. 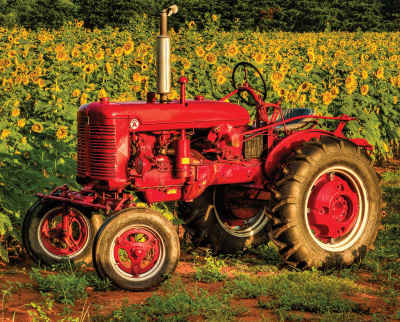 The colors in this puzzle are really something to behold with the bright reds of the tractor and the broad swath of yellows and greens of the sunflowers. A perfect summer puzzle! This puzzle was great...but definitely challenging. We usually work a 1000 piece puzzle (with the family) between Xmas and New Year’s. This one took longer than that....probably a first for us, but we were so proud when it was finally finished! One of my favorite puzzles I have done. Sadly, this is the worst puzzle I have ever received. I am a long-time purchaser of jigsaw puzzles from Springbok and have raved to others how wonderful they have been. This puzzle had absolutely terrible cutting on the pieces. Dies were not sharp. The pieces were extremely hard to put together with all the excess paper on them. I purchased this piece to take with us on our vacation and once opened would not send it back. This puzzle was challenging especially the sunflowers but I like a good challenge. Recommend if your tenacious. My sister and I worked on this puzzle. We loved the colors and the intricate sunflower patterns. We made relatively quick progress until we only had the sunflowers to work on, and that part of the puzzle proved more difficult. We enjoyed the challenge and would recommend this puzzle to others.